A delicious Pi Day pie. Attention math fans, make sure you stop by your local bakery and pick up a piece of pie, or a whole pie to share amongst your friends. Why is that? 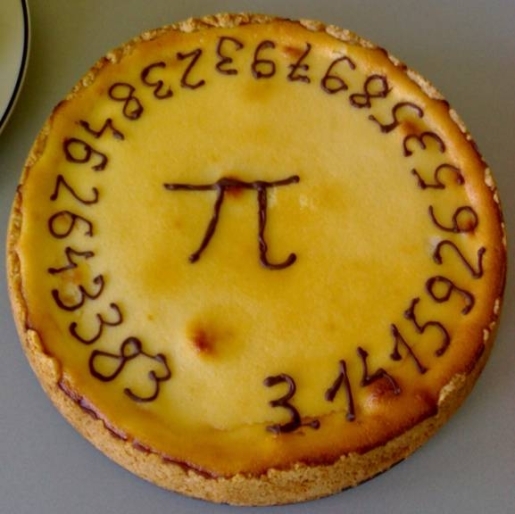 Well, it’s Pi Day, of course! Every March 14, or 3/14, is Pi Day, a celebration of math by math nerds. For those that aren’t math fans (like me), pi is the ratio of a circle’s circumference to its diameter, and it’s one of the few math measurements that has no end. Literally, pi goes on forever, and modern supercomputers have calculated pi to trillions of places beyond the decimal point. The first Pi Day was celebrated at the San Francisco Exploratorium in 1989 and is the brainchild of Larry Shaw. Since then, it has spread around the mathematics and number-crunching world. As for pi itself, it has been around since ancient times and it is one of the fundamental building blocks of mathematics. I’m sure pi the math equation is wonderful, but it’s NOTHING compared to the glory of pie the pastry. Now THAT is humanity’s greatest invention, bar none. Mmm, pie.